On November 12th at 04:09am, in the area of Paterson Plank Road/Village Place after a well-being check on a driver, 30 male from Randolph NJ, Sean M. Caster was arrested. Caster was charged with reckless driving and DWI, when it was determined that he drove to the above location. On November 13th at 05:42pm, during a motor vehicle stop in the area of 1379 Paterson Plank Road for failure to give proper signal, 52yo male from Jersey City NJ, Robert Gorrie was arrested. Gorrie was said to have an active warrant out of the Hudson County Sherriff’s Department with a no bail option. Gorrie was later remanded to the Hudson County Jail. On November 13th at 11:52pm, during a motor vehicle stop in the area of Seaview Driver/New County Road for disregarding a traffic signal, 31yo female from Secaucus NJ, Bhavna Bhagchandani was arrested. Bhagchandani was charged with the motor vehicle summonses consisting of disregard of a traffic signal, DWI, and reckless driving. On November 14th at 09:49am, during a motor vehicle stop in the area of Centre Avenue/Chestnut Street for improper display/Obstruction of view, 43yo male from Jersey City NJ, Rodrigo Guaman was arrested. Guaman had warrants which consisted of Weehawken Warrant with a bail in the amount of $2,340.00, Weehawken Warrant with a bail in the amount of $1500.00, North Bergen warrant with a bail in the amount of $500.00, North Bergen warrant with a bail in the amount of $103.00, North Bergen warrant with a bail in the amount of $79.00, North Bergen warrant with a bail in the amount of $338.00, North Bergen warrant with a bail in the amount of $500.00, North Bergen warrant with a bail in the amount of $213.00 and Harrison warrant with a bail in the amount of $89.00. Guaman was issued motor vehicle summonses consisting of Obstruction of View, improper display, unlicensed driver/driving while suspended. Port Authority PD later took custody of Guaman. On November 14th at 03:38pm, Essex County Jail had in their custody 36yo male from Newark NJ, Anibal Nieves. Nieves was said to have an active warrant out of Secaucus in the amount of $1,000.00. Nieves also had an active warrant out of Union in the amount of $438.00. Nieves was remanded to the Hudson County Jail. On November 14th at 01:29pm, at the Marshall’s department store, 25yo female from Newark NJ, Madeedah S. Hayes was arrested. Hayes allegedly shoplifted $593.92 worth of clothing. During the arrest at the scene and at Police headquarters, Hayes resisted arrest, and attempted to escape custody. Hayes also had active warrants out of Clifton in the amount of $1,500.00, a Newark warrant in the amount of $250.00, and a Fairfield warrant in the amount of $250.00. Hayes was charged with Attempted Escape, Aggravated Assault on an Officer, Throwing bodily fluids, and Shoplifting. Hayes’ bail was set at $100.000 cash only. On November 16th at 08:31am, during a motor vehicle stop in the area of Sam’s Club/Walmart for suspicious activity, 30yo male from Mahwah NJ, David F. Moll was arrested. Moll allegedly had in his possession “wax folds” containing suspected heroin. During the investigation, drug paraphernalia was also found along with syringes. Moll was charged with Possession of Heroin, Possession of a hypodermic needle/syringe, and possession of drug paraphernalia. Moll was issued summonses and released pending a court appearance at CJP. On November 17th at 05:32pm, Morris County Correctional Facility, had in their custody 37yo male from Newark NJ, Corey N. Lafkowitz. Lafkowitz was said to have a warrant out of Secaucus in the amount of $1,000.00. Lafkowitz also had a warrant out of Linden in the amount of $500.00. Lafkowitz was remanded to the Hudson County Jail. On November 17th at 02:54pm, at the Kohl’s department store, 24yo male from Latvia, Artjoms Sipilo and 27yo male from Latvia, Edgars Kervis were arrested. Both allegedly shoplifted $876.00 worth of clothing, jewelry, and shoes. Sipilowas charged with Shoplifting and Conspiracy to Commit Shoplifting. His bail was set at $5,000.00 with a 10% option. Kervis’ was charged with Shoplifting, Conspiracy to Commit Shoplifting, and Possession of Burglar Tools. Kervis’ bail was also set at $5,000.00 with a 10% option. On November 17th at 11:37pm, Police units were dispatched to the area of Buffalo Wild Wings on a report of an intoxicated male. 58yo male from Hackensack NJ, Michael A. Gualtieri was arrested and charged with DWI and reckless driving. On November 17th at 01:10pm, during a motor vehicle stop in the area of 575 Route 3 East for a cracked windshield, 35yo male from Westbury NY, Claude G. Montour was arrested. Montour was said to have an active warrant out of Berks County Sherriff. Montour was charged with being a Fugitive from Justice. Montour was later remanded to the Hudson County Jail. On November 18th at 06:30pm, Union City PD had in their custody 28yo male from Jersey City NJ, Andres Gomez. 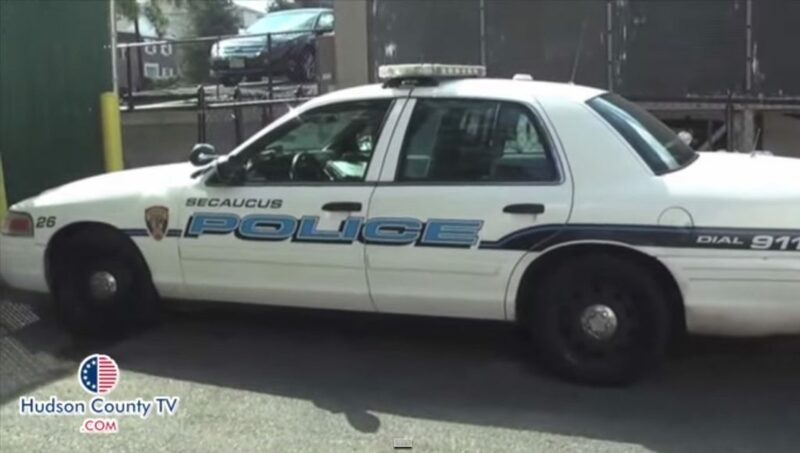 Gomez was said to have an active warrant out of Secaucus in the amount of $500.00 and an active warrant out of Totowa in the amount of $500.00. Gomez was arrested and processed. Bail was posted and Gomez was released. On November 18th at 04:00pm, Union City PD had in their custody, 50yo male from Hoboken NJ, Brian M. McNeill on an active warrant out of Secaucus in the amount of $500.00. McNeill was remanded to the Hudson County Jail. On November 19th at 07:02am, Bergen County Corrections had in their custody, 37yo male from Paterson NJ, Curtis J. Wheless on an active warrant out of Secaucus in the amount of $1,000.00. Wheless was arrested, processed, and remanded to the Hudson County Jail.